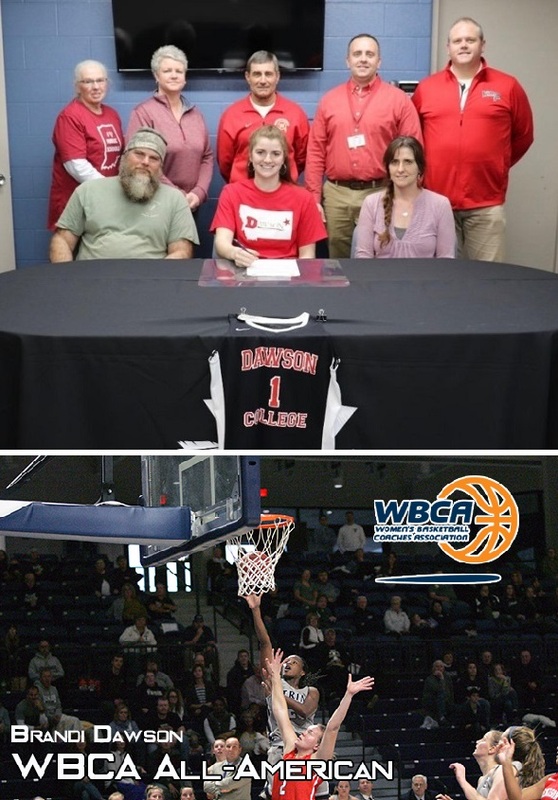 EMMA – Westview’s Ashya Klopfenstein will continue her basketall career at Dawson Community College in Glendive, Montana. She is the daughter of Jon and Erica Klopfenstein of Howe and received a full athletic scholarship that will cover her tuition, room and board, books and fees. She becomes the fourth Westview player to attend Dawson over the years. The others were Todd Fisher, Rob Yoder and Tim Slabach. ATLANTA, GA. – Trine University women's basketball player Brandi Dawson is named an NCAA Division III All-American by the Women's Basketball Coaches Association (WBCA). As a senior, the Garrett High School grad led the team in several statistical categories including: points (499), points per game (17.8), total rebounds (144), rebounds per game (5.1), free-throws made (92), free-throw attempts (119), field goals made (199) and field goal attempts (365). She was also among the team leaders in assists (46), blocked shots (10) and steals (31).